A four colour design, hand screen printed on a fitted 100% cotton navy T-shirt. 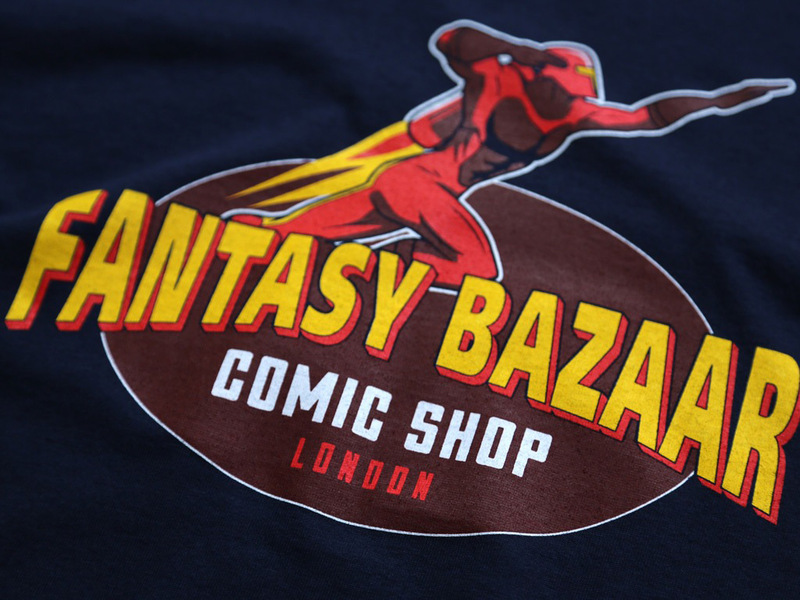 Inspired by the fictional comic book shop featured in the TV series, Spaced, a British television sitcom created, written by and starring Simon Pegg and Jessica Stevenson, and directed by Edgar Wright. I’m a repeat customer to Last Exit to Nowhere, and if I were rich and eccentric, I would supply my entire wardrobe with nothing but Last Exit T-shirts. And pants. I don’t want to be THAT eccentric. Thanks for the great site and the wonderful shirts.